We have been invited by Redbridge Islamic Centre for a presentation entitled ‘Why do I need an Islamic Will’. 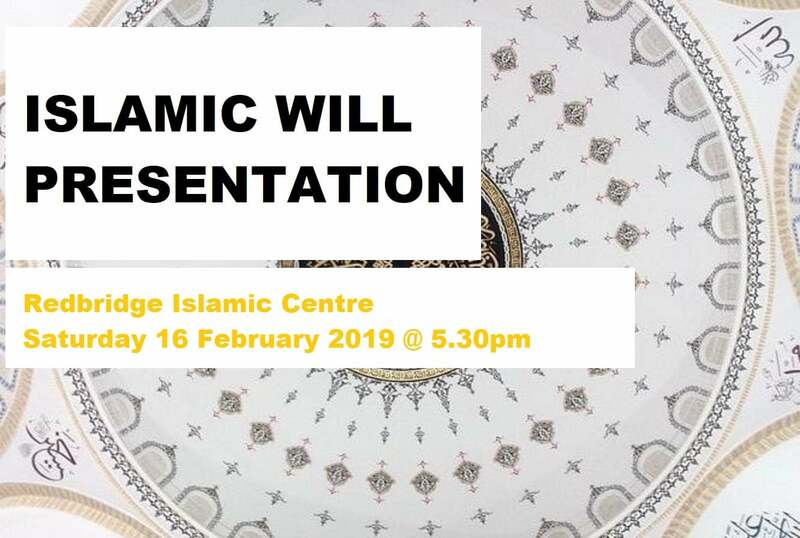 The presentation will last for around 45 minutes and will cover the major reasons for having an Islamic Will, followed by a question and answer session. All are invited to attend. If you have not had your Will prepared, this is the perfect opportunity to find out why you should. For further information contact us on 0121 603 0077.